Cranberry sauce just got a make-over. This new and improved recipe is made with only whole food ingredients and is naturally sweetened with dates! 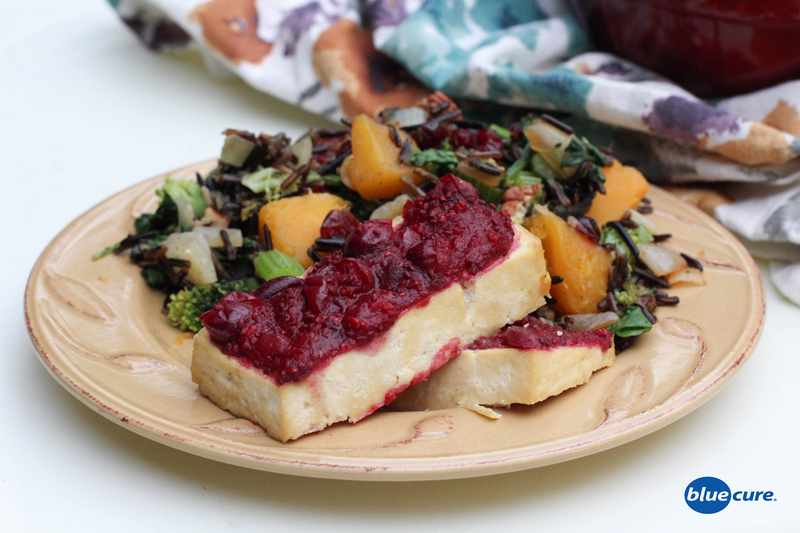 Healthy and delicious, this cranberry sauce is a great way to lighten-up the holiday season. It tastes great over baked tofu and with a side of butternut-squash wild rice. In a saucepan, boil the cranberries with 1 cup of water. Reduce the heat once the cranberries start to soften and the liquid starts to steam off. Remove the cranberries from the heat. Add in 1 teaspoon of cinnamon, add more to taste. If adding in the chia seeds, stir in 2 tablespoons of chia seeds with ½-1 cup of additional water, adjust the water to desired texture. Remove the pits from the dates. In a high speed blender, combine the dates with ¼- ½ cup of water. Start with less water, add more as needed for thinning. Blend until smooth. Stir the date mixture into the cranberry sauce. Add more water and cinnamon if desired, and enjoy!